There’s an eye-rolling threshold for home cooks when it comes to chef tricks. At some point, a chef will tell the home cook to do something that causes them (at least internally) to roll their eyes. “You want me to peel chickpeas before making hummus? REALLY?” That sort of thing. And I have to confess, even though the large majority of chefs I met writing my cookbook advised me to warm my serving dishes before serving hot food and chilling my dishes before serving cold food (like a salad), I secretly rolled my eyes at the idea. “I’ll never really do that,” I told myself. Only, lately, I’ve started doing it and it’s such an easy thing to do and it makes a really nice difference. I say “nice difference” instead of “big difference” because I don’t think it dramatically changes your eating experience, it just makes it nicer to eat pasta from a warm bowl and salad from a cold plate. 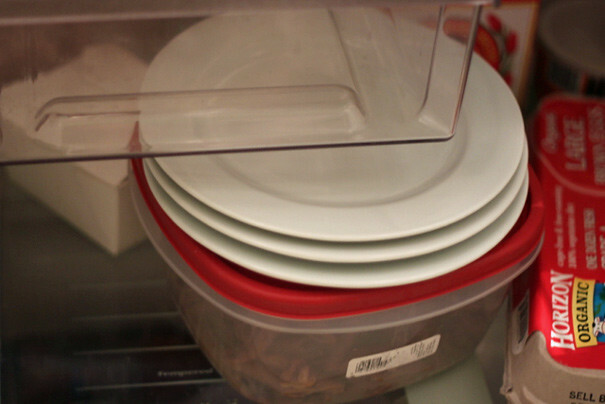 Chilling your plates requires nothing more than throwing the plates into the fridge an hour before your guests arrive. Warming your plates is slightly trickier. Not really, though. 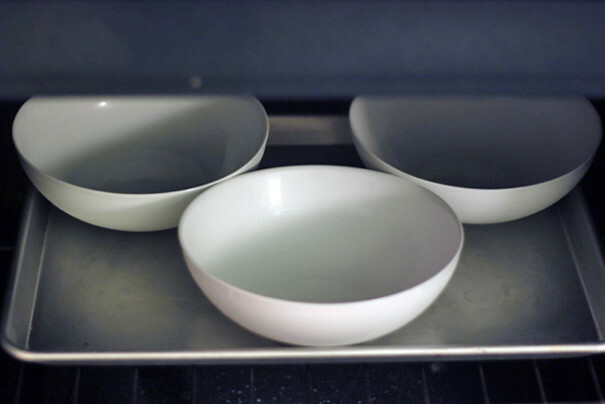 Heat your oven pretty low–200 degrees works nicely–and put your plates on a cookie sheet so you can take them in and out easily. Pop them in until they’re warm to the touch, about 15 minutes or so. Be sure to warn your guests that the plates are hot before you set them down. And there you are. Are you rolling your eyes yet? Do Any Young People Eat Cottage Cheese?